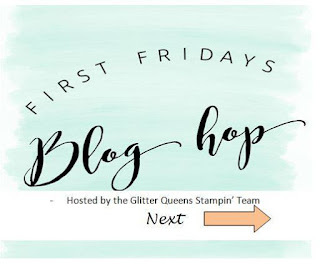 I'm so glad you are joining us today for our first ever, Glitter Queens First Friday's Blog Hop! A group of us are going to be getting together the First Friday of each month to share what we love with you through a SUPER FUN Blog Hop! 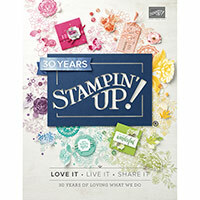 👏😍 Although I'm just getting started in the world of blogging they are letting me join in the fun and I am so grateful to be a part of this FABULOUS team of Stampin' UP! Demonstrators. For this months Hop, we are featuring Easter themed projects and I was actually inspired after spending some time (( ok, maybe way toooooo much time 😉 )) on Pinterest searching for Easter decor ideas. 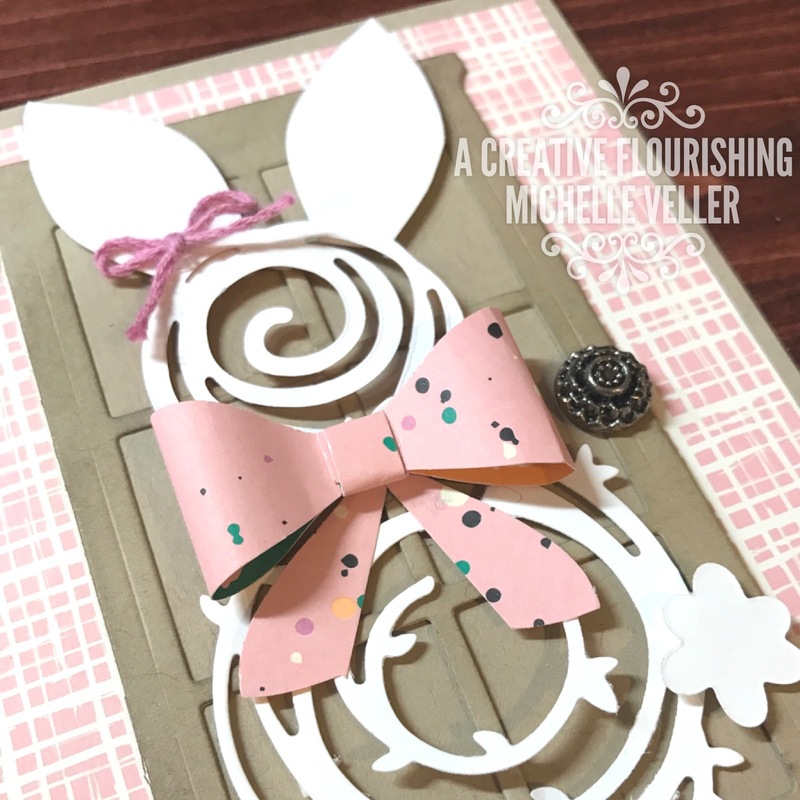 When I came across an adorable bunny wreath that someone had made, I instantly pictured the Swirly Scribbles Thinlits and thought to myself that it might be a fun challenge to try to recreate the adorable bunny wreath on a card. 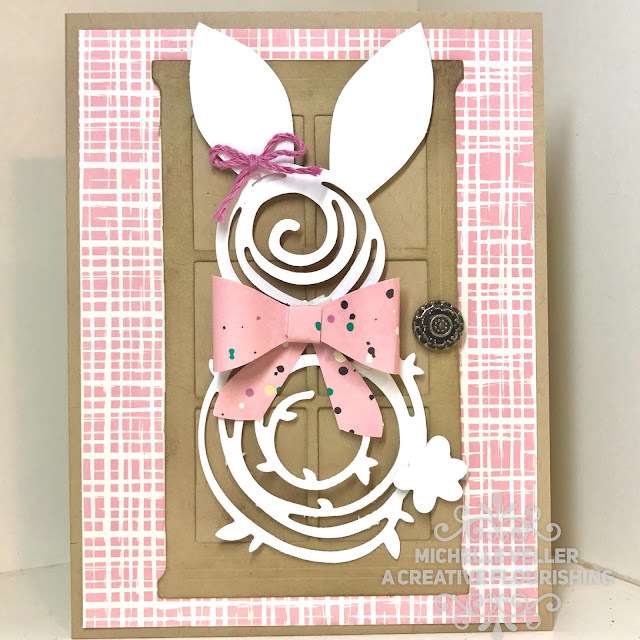 This sweet card was created using a card base of Crumb Cake Card Stock layered with a piece of Designer Series Paper from the Playful Pallette Paper Pack. The door was cut out from a piece of Crumb Cake Card Stock using the window thinlit from the Hearth & Home thinlits. 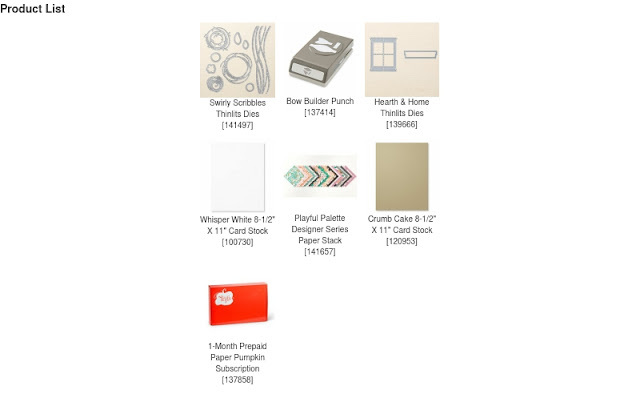 The door was also distressed using Crumb Cake ink prior to layering it on another piece of Crumb Cake. The adorable punch art bunny was made using the Swirly Scribbles thinlits for the head, body and tail. 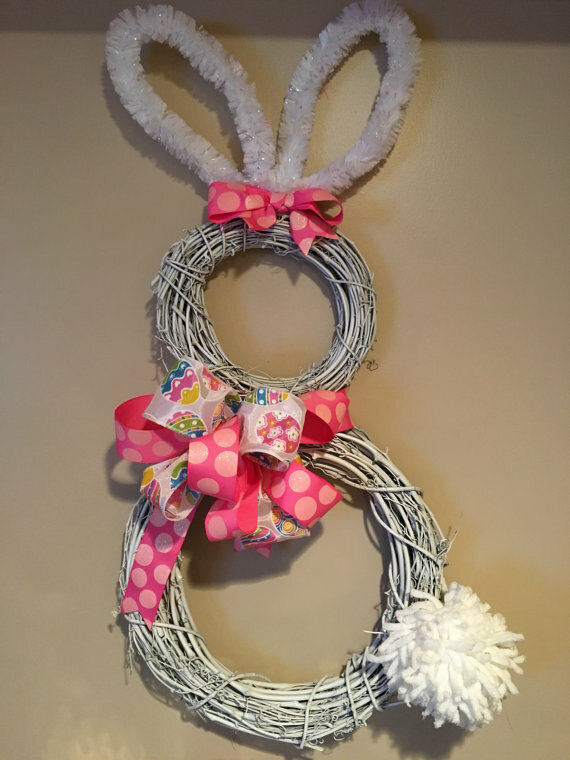 The bunny ears and large bow were made using the bow builder punch. 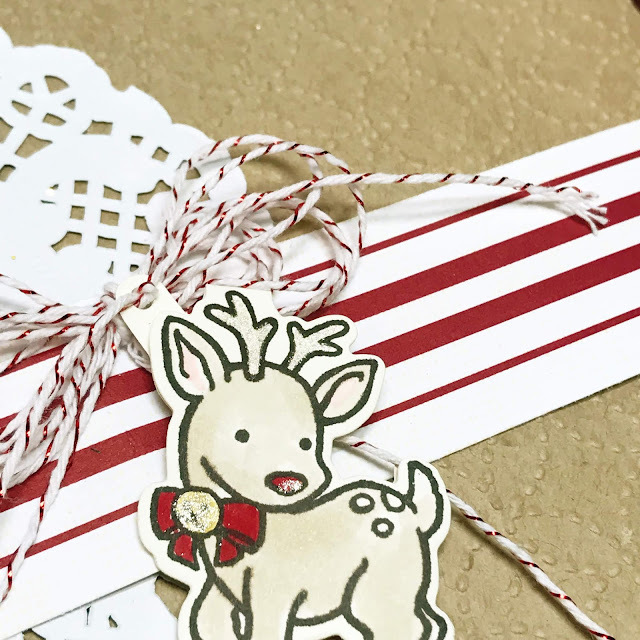 Thanks so much for stopping by and checking out my card today! 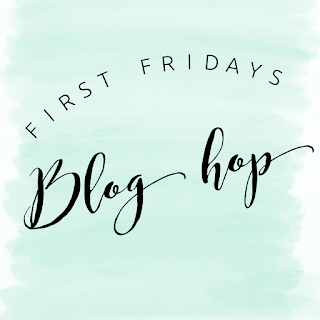 And now it's time to hop and see what the rest of the team has created for our Easter theme this month: Click the "next" button to head on over to Dawn's blog. 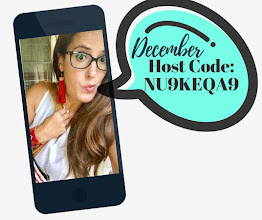 And if you get lost, here is a list of all the participants below: simply click on their names to visit their blogs. UP NEXT: Dawn Griffith www.dawnsstampingthoughts.net. This is adorable. I love those swirly things. What a fun hop. Thanks for doing this. 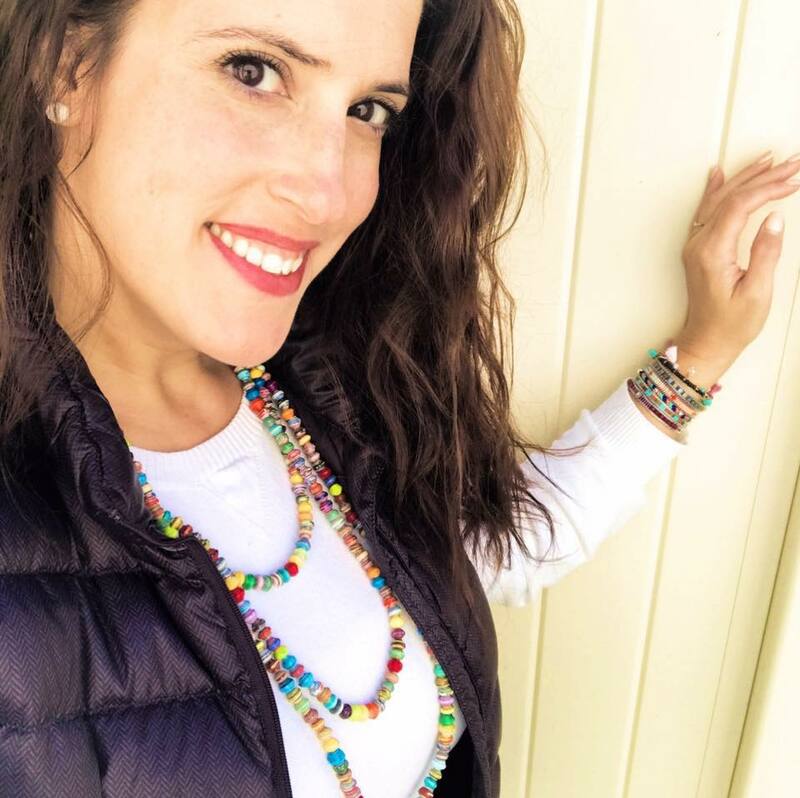 Wow, Michelle, you are a creative genius!!! Such a cute bunny. April Paper Pumpkin includes a Surprise!!! !